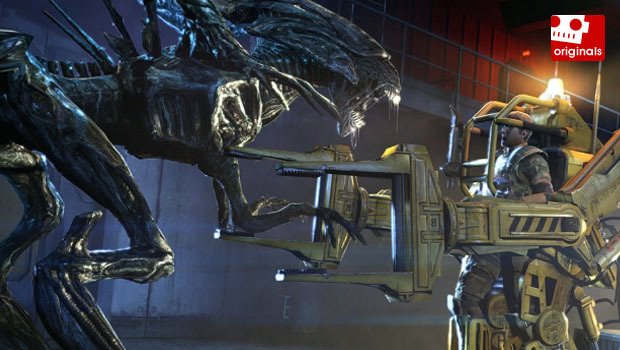 According to Gearbox Software, Aliens: Colonial Marines will not feature any playable female characters in the multiplayer, sticking instead to an all-male roster. 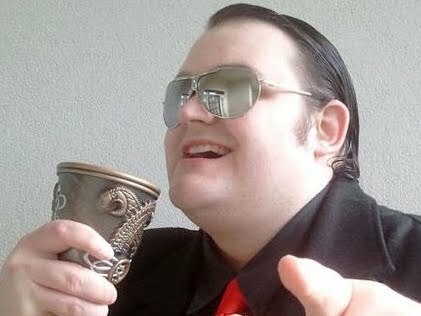 So sayeth senior producer Brian Burleson in a live chat a short time back. This is not unusual for shooting games, but there's something wrong about it for an Aliens game. A petition has been started to get women put into the multiplayer game, and to be fair, the petition's gone nowhere. Even so, its heart is in the right place and I support it. Before you roll your eyes and think this is about gender equality and fairness, I'm actually backing this as a dreadfully nitpicky Aliens nerd, not as a woolly liberal (though there is probably some of that too). While an all-male cast is not out of the ordinary for many FPS multiplayer games, it is entirely out of character for a game setting itself up as a canonical Aliens sequel. Female characters are an integral part of the franchise, with Aliens, Alien 3, and even Alien Resurrection all thematically linked with motherhood. From Ellen Ripley's lost daughter and relationship with Newt, to her unwanted "child" in Alien 3 and the "pregnant" Alien Queen from Resurrection, women and the unique sense of loss they can experience is a massive overarching theme of the series. 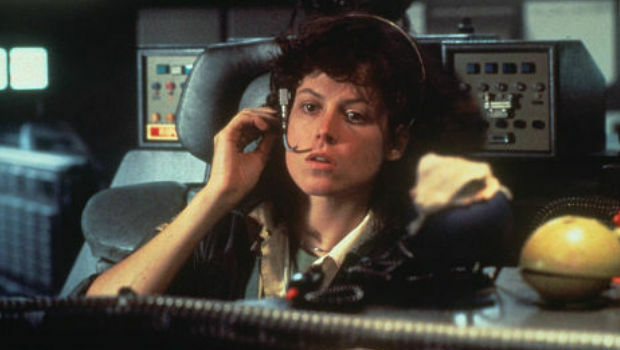 As far as Alien goes, it is the first movie to successfully pass the notoriously difficult Bechdel Test, a test designed to measure the female presence in a given story. It is one of the few science fiction films to do so since the test was conceived, which is impressive for a film both released in 1979 and regarded as such a huge part of what folks now call "nerd culture" -- a culture not exactly known for its even-handed portrayals of women in fiction. The test seems simple -- having a story that includes at least two women who have a conversation about something other than men -- but you'd be surprised how hard it apparently is to meet that criteria. The point of the text, of course, is not to determine if a movie is good or bad (it's said even very misogynistic films can pass the test) but Alien, already known for having feminist undertones in its story, is held as a fine example of a movie that passes the test in an admirable fashion. The movies and associated media have, of course, always had very diverse casts, stuck with strong female protagonists, and generally been great examples of sci-fi pop culture that eschew the macho manly-man stereotype -- Aliens, in fact, outright demolishes the stereotype by humiliating the space marines and reducing its most testosterone-fueled soldier archetype -- Hudson -- to a panicking and melodramatic child, dismissed and outmatched by both a small girl and a woman with no military training whatsoever. 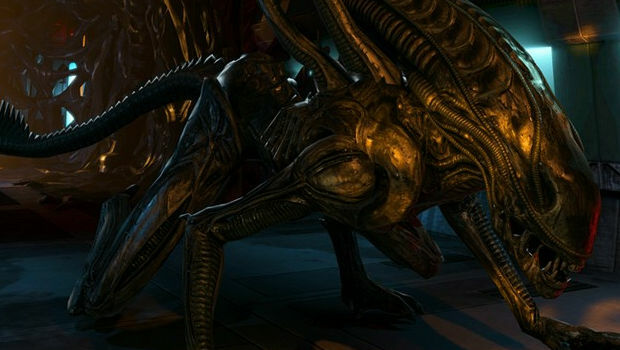 It's ironic that so many games inspired by Aliens focus almost entirely on hulking men being perfectly masculine, when Aliens set about undermining that ideal the second a Xenomorph dragged its first Marine into the rafters. This doesn't even mention the badass female characters with military training. 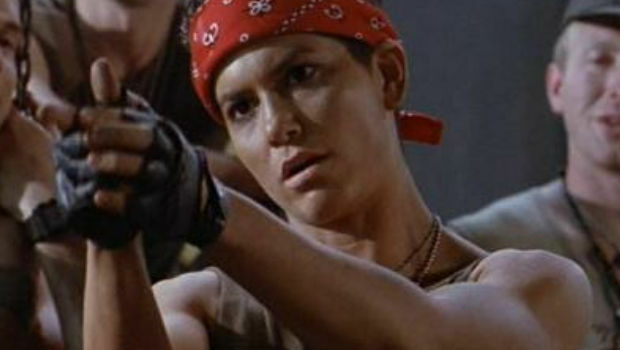 The colonial marines aren't shy about admitting women, and the likes of Vasquez, Ferro, and Dietrich are all shown as soldiers just as capable as their male counterparts -- indeed, Vas is one of the most badass characters in the entire franchise, and the fact she is not one of the four Aliens characters available as a pre-order bonus serves as a glaring omission. Is this a dealbreaker? Is it some controversial sign of rampant prejudice? No. In fact, I'm sure there are asset or budget issues that come into play long before we reach any insidious reasoning for the omission of female characters. However, as a delirious Aliens fanboy who revels in the thematic impact of the movies, I would certainly hope Gearbox gives some strong consideration to upping the feminine presence in the multiplayer. For a game that aims to stay true to what made the franchise so wonderful in the first place, it would be creatively beneficial to Colonial Marines to do so. There's no real story to the multiplayer mode and it is, ultimately, just a single mode in the game. However, it'd definitely be nice to have more playable female Marines because that is, after all, a huge part of the Alien legacy. If Gearbox is sincere about Colonial Marines being an homage to the movies it's been inspired by since it first made games, the studio would do well to do it full justice.